This classic Mountain House dish is made with tender dices of all all natural beef, potatoes, carrots and love. Sweet love. And who doesn't want camping food made with love? Mountain House Pouches - Pack light. Eat right. With our easy-to-prepare stand up, zipper pouch, it's never been easier to make a great tasting meal! Simply open, pour in boiling water, and zip. 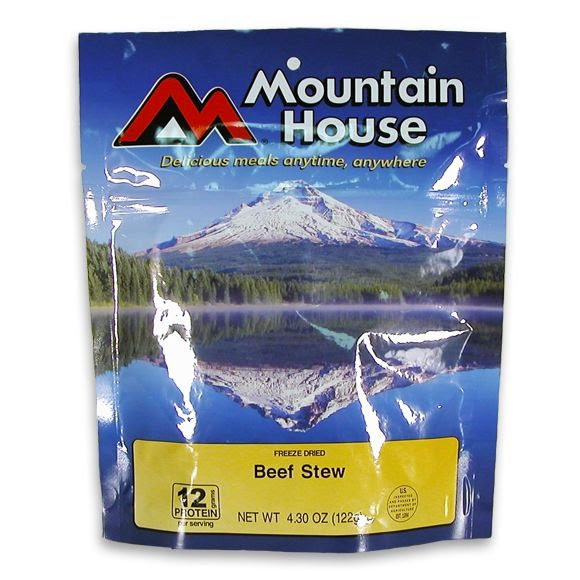 This classic Mountain House dish is made with tender dices of all all natural beef, potatoes, carrots and love. Sweet love. And who doesn&apos;t want camping food made with love?